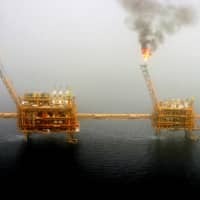 TEHRAN - Working from their small offices in Stockholm, analysts at a new watchdog that monitors global oil shipments have been run ragged by Iran’s efforts to skirt U.S. sanctions this month. In late October, every single one of Iran’s vessels “went dark,” switching off their transponders to avoid international tracking systems — a first since TankerTrackers.com began operating in 2016. The ships can now only be tracked manually using satellite imagery. “It’s the first time I’ve seen a blanket black-out. It’s very unique,” co-founder Samir Madani said. It is part of efforts by Iran and its customers to keep oil flowing ahead of a new U.S. embargo set to hit Monday. “Iran has around 30 vessels in the Persian Gulf area, so the past 10 days have been very tricky, but it hasn’t slowed us down. We are keeping watch visually,” added co-founder Lisa Ward. Huge improvements in commercially available satellite imagery in recent years have allowed firms like TankerTrackers to watch the progress of vessels on a daily basis, where once images would have come only once a week or more. Iran hopes less transparency will allow it to keep selling oil after Monday, when the United States reimposes the last set of sanctions lifted under the 2015 nuclear deal, which Washington abandoned in May. But Joel Hancock, from analysis firm Natixis, said this did not mean their sales would necessarily remain high. “The main issue with tanker trackers is they are tracking exports, maybe not sales,” he said, adding that the ships could just be moving oil to storage facilities in China or elsewhere. Another method — used during the last sanctions period between 2010 and 2015 — is to keep oil on huge tankers off the Gulf Coast. TankerTrackers says there are currently six vessels, with a total of 11 million barrels of capacity, parked offshore as floating storage containers — freeing up port capacity and allowing for quick deliveries. Although precise figures are rarely available in the notoriously opaque oil market, most analysts say Iran’s exports dropped from around 2.5 million barrels per day in April to roughly 1.6 million in October. Countries with close security and trade ties with the U.S. were quick to cut their purchases — South Korea went almost straight to zero, with Japan and much of Europe close behind. Although the European Union has vowed to create a “special purpose vehicle” (SPV) to protect companies buying oil, analysts see little chance that firms will risk U.S. penalties by using it. “The SPV is currently dead in the water. 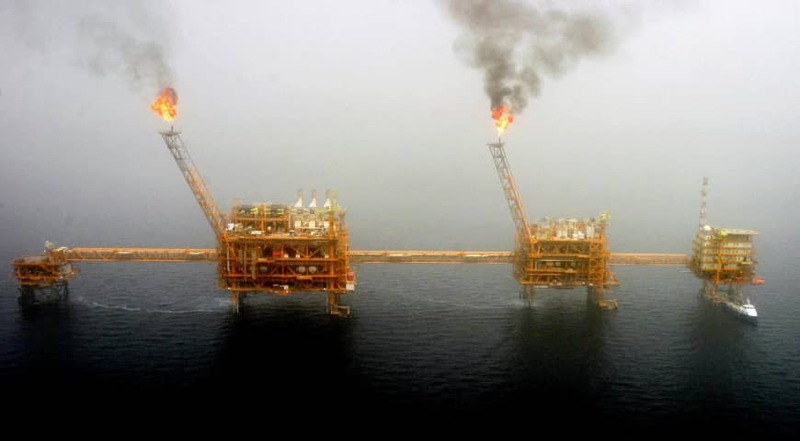 It can’t handle oil in any serious volume,” said Henry Rome, a specialist on Iran sanctions for the Washington-based Eurasia Group consultancy. The U.S. granted waivers to eight countries but only on condition they make substantial cuts to their purchases. But the trickiest customers for the U.S. in its “maximum pressure” campaign are the biggest buyers, India and China. China, the largest buyer of Iranian oil, has been surprisingly willing to play ball with sanctions so far, in part because it has bigger fish to fry in the form of its ongoing trade war with Washington. During the last sanctions period, China funneled almost all its Iranian transactions through the Bank of Kunlun, controlled by Chinese state energy group CNPC, which was sanctioned by the U.S. in 2012 but shielded the rest of the sector from penalties. “Kunlun was a sacrificial lamb in the past … but Chinese banks appear to have realized the immense risk and are a lot more cautious,” said Rome. Unconfirmed reports suggested this month that the Bank of Kunlun was quietly halting transactions with Iran. But China is likely to seek new paths to keep the oil flowing, according to Rome. “It looks like they’ll open another channel, maybe another bank, and keep importing sizeable amounts, but there’s still a lot to work out,” he said. India, another major buyer, will also be looking for mechanisms as they did during the last sanctions period. “The difference last time was that sanctions were phased in gradually over a long period,” said Rome. Even if Iran can continue to sneak oil out of its ports, it will find it difficult to get the cash into its accounts. “Iran is a formidable adversary, well practiced in different techniques to keep selling oil and muddle the data, but that won’t be a panacea for everything,” said Rome.